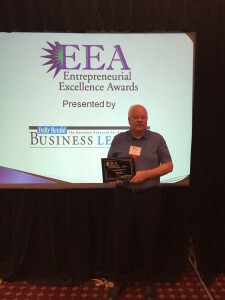 Mike Justice, President and Founder of Grid Connect, was recently honored with the Lifetime Achievement Award by the Daily Herald Business Ledger. Mike Justice is a serial entrepreneur, industrial networking expert, and has successfully built and sold several technology ventures. In 2003, Justice started Grid Connect inviting many employees from a previous company in which he was involved to join his new venture. Grid Connect is a rapidly growing manufacturer and distributor of networking products and wireless sensors with more than $13 million in sales worldwide. Culture and professional growth are two of Justice's key elements at Grid Connect. Every Wednesday employees are treated to free lunches, complimentary massages on Thursdays and frequent table tennis matches at lunchtime. Grid Connect has been named as a "Best Place to Work in Illinois" for the last two years and named a "Top 10 Small Business to Work for in Illinois." Justice is also locally involved with Naperville North High School's Robotics Team, where he helps develop and sponsor young engineers. Last night was dedicated to risk taking and overcoming failure as 19 local entrepreneurs were honored during the 17th Annual Entrepreneurial Excellence Awards, hosted by the Business Ledger and its sponsoring partners. Mike Justice, founder, president, and CEO of Grid Connect was honored with the Lifetime Achievement Award. Nineteen local entrepreneurs will be honored in the 17th Annual Entrepreneurial Excellence Awards hosted by the Business Ledger and their sponsoring partners. The awards will be presented at a reception beginning at 4:30 p.m. to be held on Thursday, September 15 at the Hilton Hotel Lisle/ Naperville, 3003 Corporate W Drive, Lisle. Presenting sponsors for this year’s awards program are: Focus Capital Advisors, Northern Illinois University School of Business; and B. Gunther & Company. Early Stage: Jill Foucre, Mache, Glen Ellyn; Kathy Steele, Red Caffeine Marketing & Technology, Lombard; Quinten Thompson, QT3 Systems, Aurora; Kelly Yearwood, Pits for Patriots, Bensenville. Growth: Lynn Day, Bottle & Botega, Glen Ellyn; Chad Holstead, Business Knowledge Systems, Plainfield; Marc LeBlanc, Gages Lake Auto & Light Truck, Gages Lake. Innovation: Padmini Sriman, EmotiPlush, Naperville; Denise Smith, Smith Physical Therapy & Running Academy, Crystal Lake. 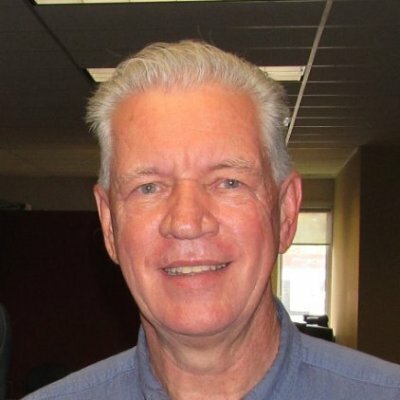 Lifetime Achievement: Mike Justice, Grid Connect, Naperville. Outstanding Service to Entrepreneurs: Kathleen Caldwell, Caldwell Consulting Group, Woodstock; Mike Cavanaugh, Small Business Advocacy Council, Chicago; Leslee Cohen, Hershman-Cohen, Chicago / Deerfield; Joe Micaleff, Grow Up Sales, Libertyville. Young Entrepreneur; Gina Hines, Alder Grove Counseling, Downers Grove; Andre Janus, Cristaux International, Elk Grove Village; Chris Lesner, Project World Impact, LLC, Wheaton. Cost to attend the reception is $55 per person. You must register online at http://www.dhbusinessledger.com no later than September 9. For additional information call Jim Elsener (jelsener@dailyherald.com), at 630-955-3593. The Business Ledger is the leading provider of business news and information about businesses and the economy in suburban Chicago. The Business Ledger is a sister publication to the Daily Herald and part of the Paddock Publications family. Successful startups are driven by experience, knowledge, and an overall understanding of respective industries. This type of wisdom enables older founders to be well-equipped to envision the ideal workplace, with its unique office perks that are often associated with startup cultures. While most people picture a youthful individual as the stereotypical startup found, this does not pertain to a lot of startup companies. The average age of founders for successful startup companies is around 40 years old. The Chicagoland area is riddled with successful founders over the age of 40, showing that startup success is not tied to youth. Grid Connect, a manufacturer and distributer of networking products, has been recognized due to the fact that President Mike Justice is one of the seasoned founders mentioned above. He started his successful company in 2003 as purely a networking company, but as it continued to expand, Grid Connect started to manufacture their own wireless sensors and IoT products. The sensors give users complete control over their home as they are designed to notify the homeowner of any environmental changes in their home. They also manufacture the powerful HomeKit-enabled ConnectSense Smart Outlet, which allows users to control any product with Siri voice controls. The company has been able to create quality products like these and thrive under the control and vision of this successful founder! About 12 years ago, Glenn Rodgers and Mike Justice sat in an empty building and Glenn made a little, paper sign that said "Grid Connect" and hung it on the door. Glenn and several other employees worked for the next four months without a salary until the Grid Connect business got going. It's clear that Glenn has been extremely dedicated to working for Grid Connect from day one. Prior to joining the Grid Connect team, Glenn was the product manager for the Quick Panel HMI product line at Total Control. He started with them as the technical writer, then developed the technical support group and training department, and attended trade shows in support of the sales team. Glenn worked there for 14 years until GE bought the company. At Grid Connect, Glenn now concentrates his efforts in support of the production department and some support for engineering. When it comes to working at Grid Connect, Glenn likes the constant stream of new challenges and products... and of course the table tennis. "Grid Connect has grown to become a leader in new technologies. I see a new generation of smart devices and applications that will propel us to become a major player in the Internet of Things (IoT) arena." Glenn spends a lot of his spare time fishing and exploring local forest preserves. He likes creating things from wood and metal and designing things on a smaller scale, like fishing lures. Glenn still works with his Arduino microprocessor and sets up different maker projects, like LED strings, GPS readers, and graphic panels. Glenn looks forward to retirement in the next few years and continuing to be part of Grid Connect's new growth the IoT space. Mike Justice is the Founder and President of Grid Connect. Before the Grid Connect, Mike founded Synergetic Micro Systems, which was later acquired by Lantronix in 2001. After working on the Lantronix team for a couple of years, Mike decided it was time to form another company. Grid Connect was founded in 2003 and has been selling and creating great networking products and technologies since. Other than Mike's everyday duties to keep Grid Connect running smoothly, he spends a lot of time in different parts of the company helping to create a better and more efficient place to work. If Mike is not in his office, you can find him in an engineering meeting, helping make marketing decisions, or even vacuuming up the warehouse! Mike's favorite part of Grid Connect is being able to watch his employees grow and have fun. "As a family business, it is important to have great people that treat Grid Connect like part of their family." Although you can find Mike dominating the ping-pong table almost daily at Grid Connect, one of his favorite hobbies outside of work is playing ping-pong too. 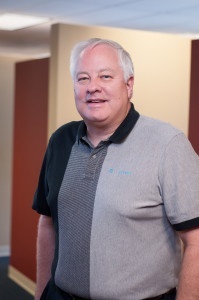 John has a long history in the technology business, working for Synergetic and Lantronix (where he worked with Mike Justice before Grid Connect). Additionally, John was the regional manager for a multi-million dollar wire and cable company, before he turned his attention back to wireless tech. In his free time, John likes to ride his motorcycle, cook and hang out with his three kids and two grandsons. Because Grid Connect is such a tight-knit company, many of the employees of our company end up doing a myriad of jobs. Mary Miller is one of these people. 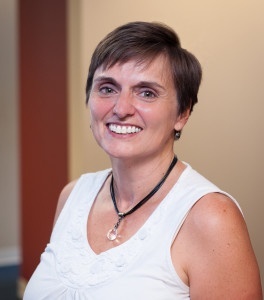 As our customer service representative, she spends her day answering phone calls, handling RMAs, working in shipping with Budd Justice, and periodically working as an auditor for our ISO 9001:2008 certification. Mary enjoys playing and beating her husband, Peter, in ping-pong (but any game will do), cooking new recipes, and being outdoors. Grid Connect recently moved into what could be considered the ‘consumer’ space through its ConnectSense subsidiary, which provides plug n’ play sensor solutions for a variety of applications through devices such as their recently released Smart Outlet. The parent company still focuses on more traditional embedded connectivity, but according to Mike Justice the industrial networking landscape has started to shift as factory operators become increasingly interested in wireless communications. Justice admits that Wi-Fi is still a no-no in most plant settings because of the unknowns it introduces, but says that Bluetooth and ZigBee are making considerable strides as they provide no direct connection to the Internet and subsequent security issues. Read more at Embedded Computing Design or download the PDF now. 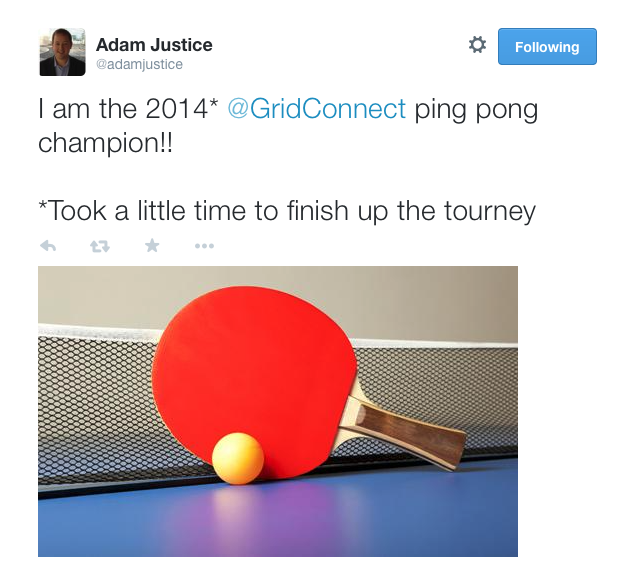 Congrats to Adam Justice, Grid Connect's 2014 Ping-Pong Champion! Every winter, Grid Connect has a singles ping-pong tournament among some of the best players in our office. 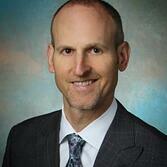 This year, we are excited to announce Adam Justice, VP of Grid Connect, as the 2014 champion! Our runner-up was Mike Justice, President and last year's winner of the annual ping-pong tournament.